Assiniboine Culinary Arts students took the top prize at a national competition in Toronto. 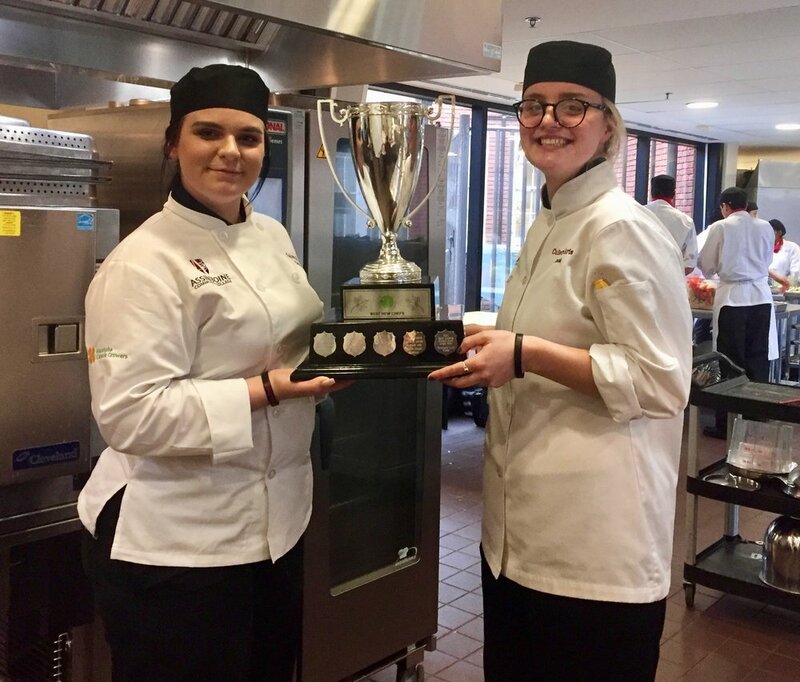 The two students, Kaitlin McCarthy and Jessi Coulter, impressed the judges at the Taste Canada Cooks the Books competition. The team created an original recipe, Cast Iron Seared Hudson River Arctic Char with smoked maple birch glaze on heritage grain. McCarthy and Coulter were the only team from Manitoba facing off with some much larger culinary institution chefs. The team won the right to represent ACC at the competition when they beat their classmates earlier in the year. Both McCarthy and Coulter are from the region originally growing up in Russel and Brandon, respectively. The students each plan to pursue a career in culinary arts, loving the opportunities they have been given in the Culinary Arts programs. Congratulations goes out to the Culinary Arts program at ACC and it’s two successful students. Best of luck in your program and careers future chefs!